The New Zealand government has banned Ted Dawe’s award-winning YA novel “Into the River” after protests from a Christian group. The Guardian reports that the New Zealand government has banned an award-winning YA novel after protests from a Christian group. It is the first time in twenty years that a book has been banned. The book will be removed from libraries, schools and bookstores nationwide. The interim restriction went into place on September 3rd, and will be reviewed and given a permanent classification within the next month. And while it’s still legal to own the book for personal use, it is now illegal to even pass it around to friends. 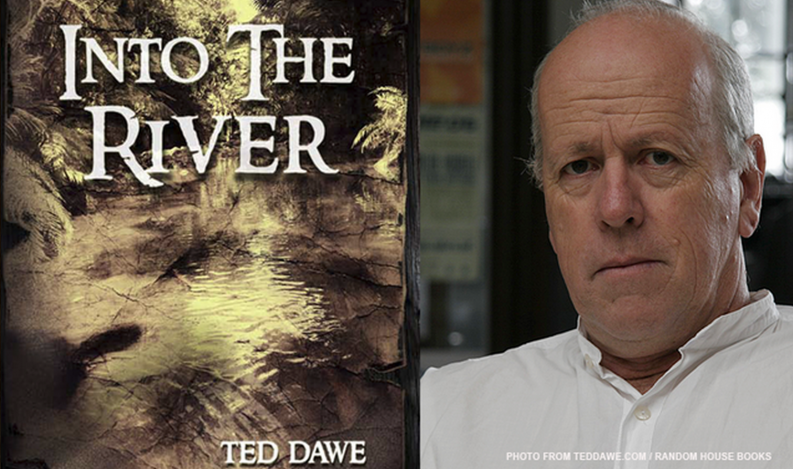 The winner of the 2013 New Zealand Post Children’s Book award, Into the River is targeted towards a mostly male teenage audience, one that Dawe acknowledged is difficult to reach. “‘I have taught in secondary schools for the past forty years. Much of this time has been spent encouraging boys to read. Part of the challenge was to find books that “spoke” to them. This meant books about issues that were relevant to them and written in a style that was authentic,’ he said. ‘There are many issues that young adults can not take to other people. They want to do their own thinking about them. There is no better, no more private medium for this than the novel. ‘In this relatively safe context the teenager can navigate through issues such as race, sexual orientation, body issues, class discrimination and bullying and harassment. They can test their responses against the main characters and calibrate the differences without the need to discuss. Joanna Mathew, executive director of the Library and Information Association of New Zealand, was quoted by The Guardian as saying that the banning of Into the River was “concerning” in regards to free speech in New Zealand. “‘I have read the book, and while there is content in there that is confronting it doesn’t warrant being banned,’ she said. ‘A key principle underlying the library and information profession is freedom of access to information. Individuals should have the ability to make their own decisions about what is suitable.